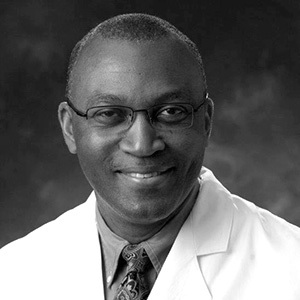 Dr. Olutoye is a Professor of Surgery, Pediatrics and Obstetrics & Gynecology at Baylor College of Medicine, and is Co-Director of the Texas Children’s Fetal Center at Texas Children’s Hospital, in Houston, Texas. He completed his medical education at Obafemi Awolowo University, in Ile-Ife, Nigeria and received his Ph.D. in Anatomy from Virginia Commonwealth University. He has specialized clinical expertise in fetal and neonatal surgery, with specific interest in congenital diaphragmatic hernia and complex wounds. Dr. Olutoye’s research interests include topics like understanding the role of the fetal inflammatory response in scarless fetal wound healing and in utero correction of severe congenital malformations. In addition, he has participated in medical missions to Russia, Guatemala, Haiti, Malawi, Botswana, and Liberia. He is also a Fellow of the American College of Surgeons, American Academy of Pediatrics and the West African College of Surgeons. His talk explores his research and work as a fetal surgeon.